Hines-Sight Blog: What's It Like when Bloggers Get Together for the Holidays? What's It Like when Bloggers Get Together for the Holidays? 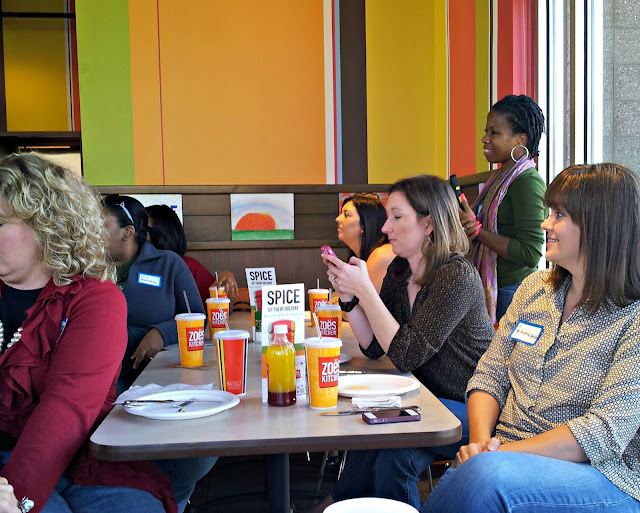 What is it like when a bunch of bloggers get together at a Holiday party at a brand new Zoe's Kitchen in Morrisville, NC? It's hummus with a side of Twitter or Instagram. Andrea of Good Girl Gone Redneck sends out some holiday cheer! We tweet, and eat. And we eat a lot! 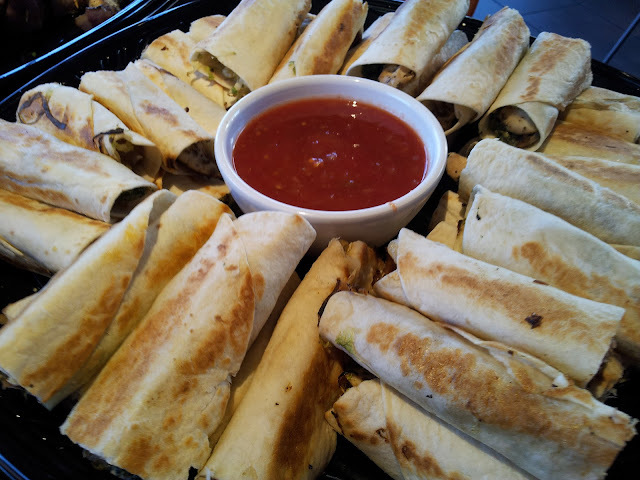 Then we tweet again, and perhaps even share photos of our food on Facebook, too. We are a group of bloggers, after all. Would you expect anything less? I mean we are not a group of engineers who never post anything on a social media platform. That's my husband's holiday party! 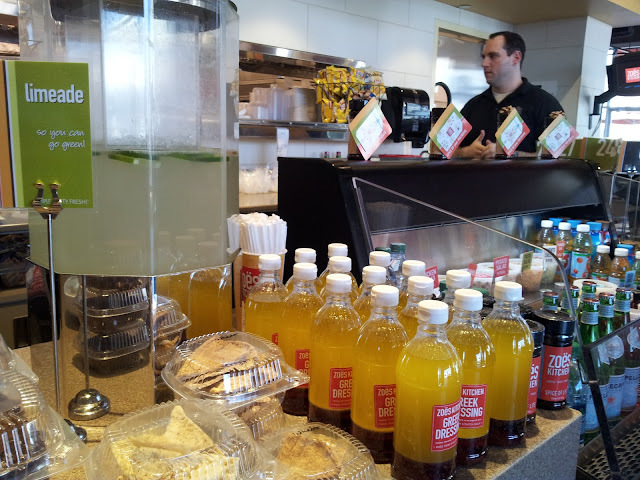 Zoe's Kitchen makes food fresh every day. 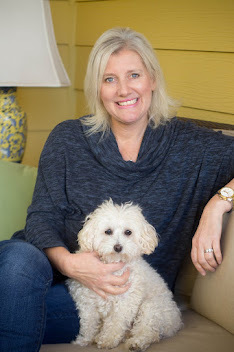 When I first started blogging, I had no idea so many people authored blogs. I didn't even tweet. 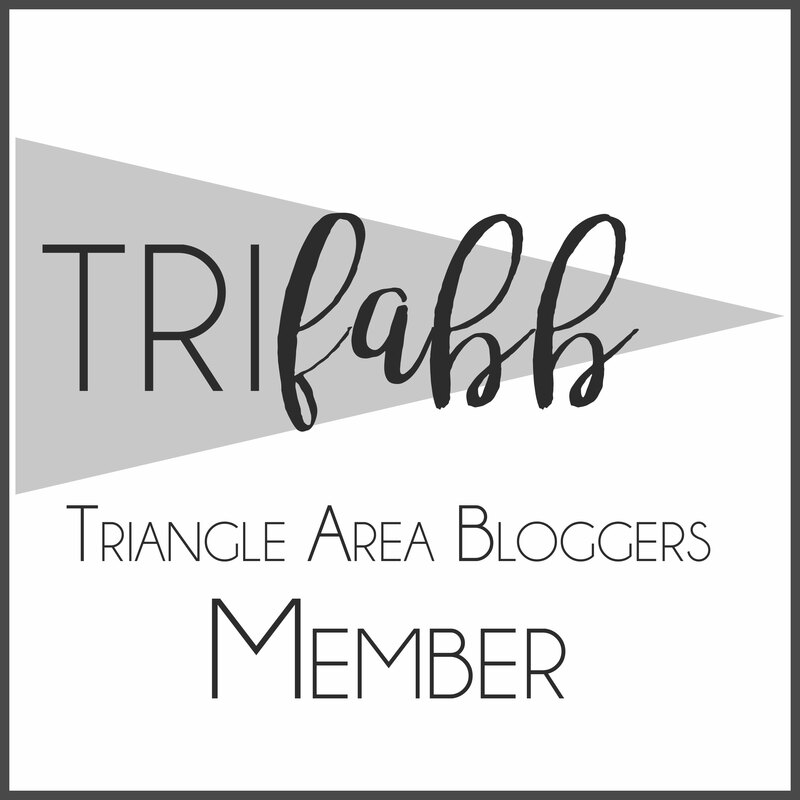 We have a large group of bloggers in the Triangle area. Some blog as part of their business. Some blog to document their lives, and some blog because it gives them a creative outlet. Our blogs are all unique, and reflect our own style. We don't see each other as competition, but rather, we see each other as colleagues in the big world of blogging. Many of us become friends because we share a common interest. 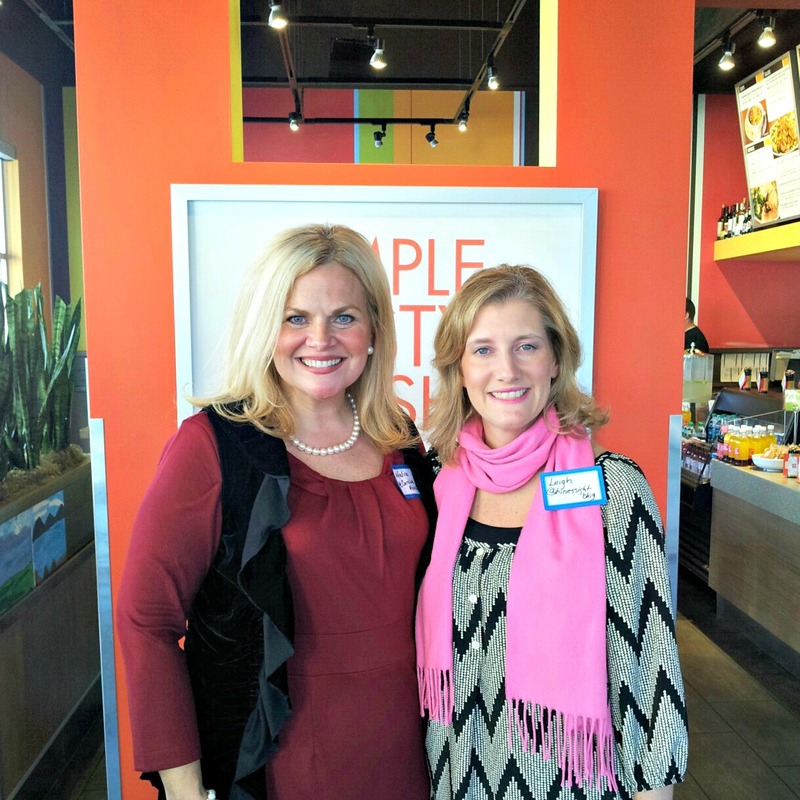 I had the pleasure of co-hosting a Triangle Blogger Holiday Party with Malise of Carolina Mama last Sunday. Zoe's Kitchen, located in the new Park West shopping area of Morrisville, sponsored our holiday gathering. 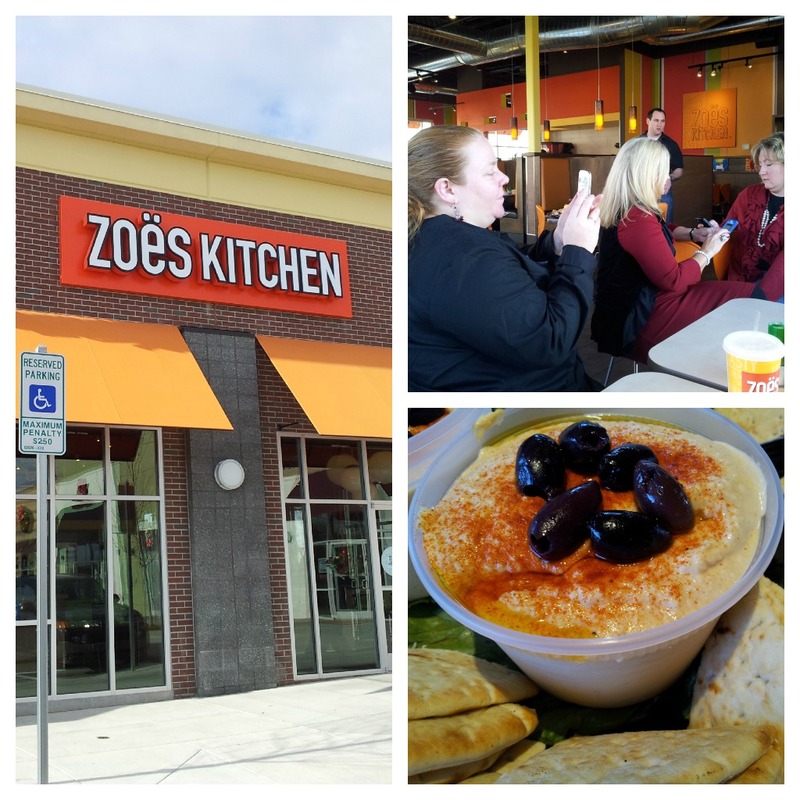 Zoe's is an Alabama-based chain that is quickly spreading in the Southeast as a fast-food restaurant that focuses on healthy, fresh, and simple ingredients. There are five locations in North Carolina currently. As you know, I'm a lady who lunches so I've been a fan of the restaurant for awhile. I immediately jumped at the chance to co-host the party with Malise. We are a perfect pair because we love to talk about food. I had the pleasure of meeting many bloggers for the very first time, and also catch up with some I already knew. Typically, we only talk to each other behind Twitter handles, and rarely in person. Our holiday social was scheduled for two hours, but Zoe's put out so much food for us that we lingered awhile longer over the spinach and chicken roll-ups, or at least, I did. 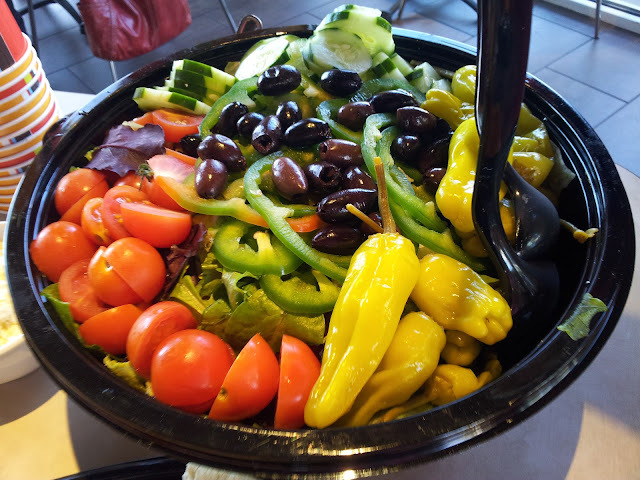 Zoe's was the perfect place for us to have this gathering because the Mediterranean menu has vegan and gluten-free items as well as items under 500 calories. As bloggers, we all type a lot, but typing doesn't really burn that many calories so we like a menu that is fresh with fewer calories. For fun, we even had some holiday door prizes. Erin of "A Parenting Production" won the grand prize, brunch for two at Carolina Crossroads, located in the Carolina Inn. Andrea, Lisa, Erin, and Andrea had some holiday luck. 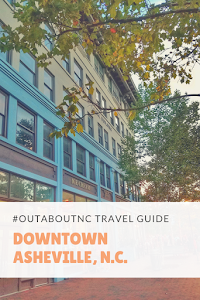 And for a little holiday note, many of the Triangle bloggers like Andrea with" Lil Kids Things" have written some fabulous gift guides this year. Since I am more of a travel and leisure blog, I didn't write a gift guide except for this lux guide on Skimbaco Lifestyle. 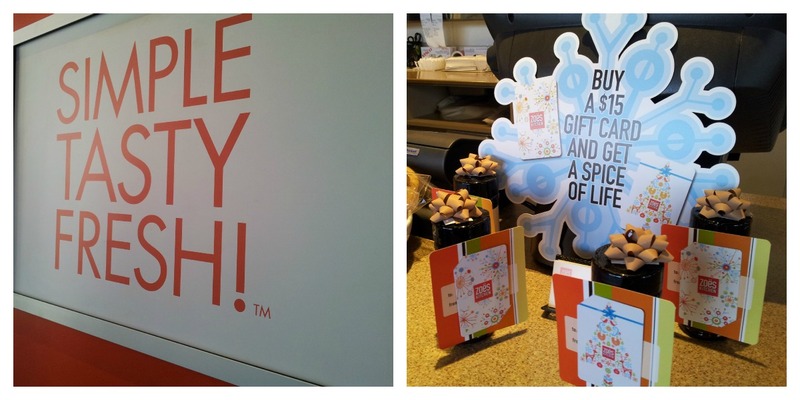 But, if you are looking for teacher or preschool teacher gifts, consider buying that special person a lunch out. A $15 gift certificate at Zoe's Kitchen would definitely cover the cost of a meal plus dessert and tax. 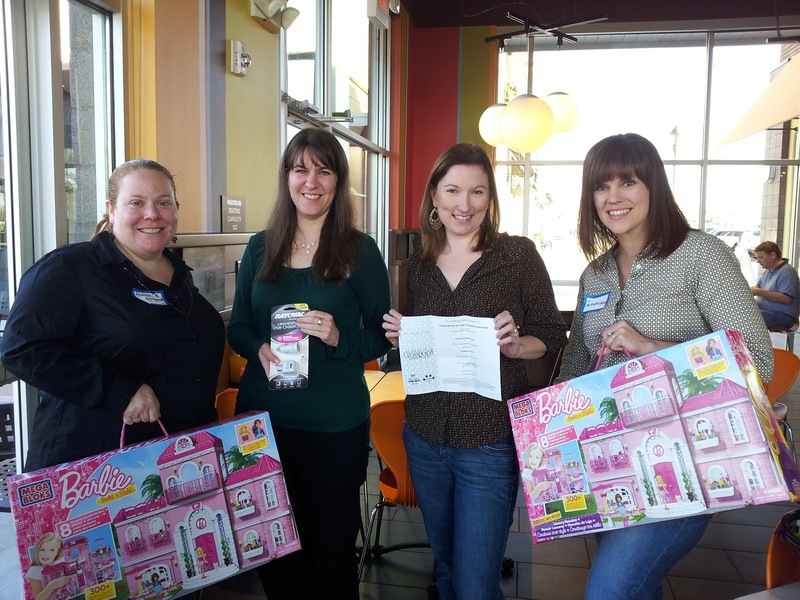 Disclosure: My thanks to Zoe's Kitchen for sponsoring the Triangle Blogger Holiday party. I was not compensated to write this post. 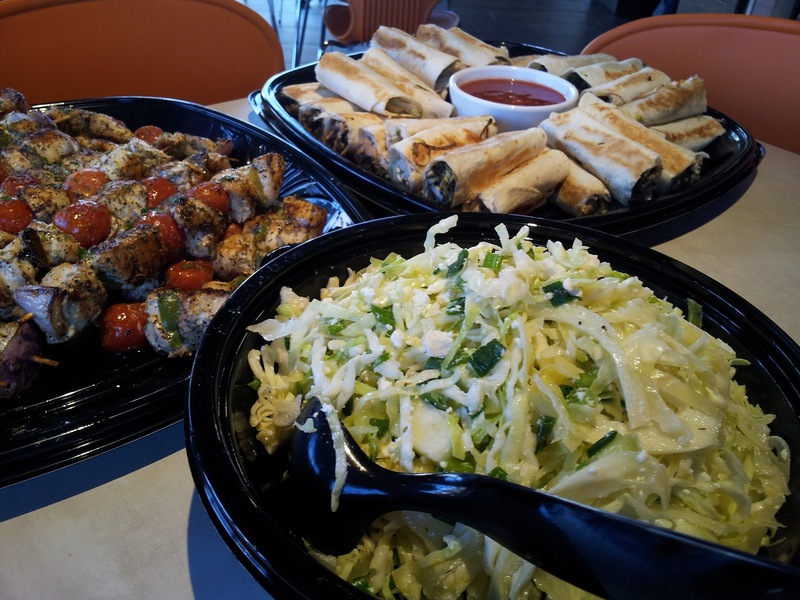 We appreciate your generosity, and commitment to keeping food fresh, and healthy. We are glad you are part of our Triangle community.